By default, Windows clipboard can only store last copied data, which is available for quick paste. Do you want to recover clipboard data copied previous to last copy action? 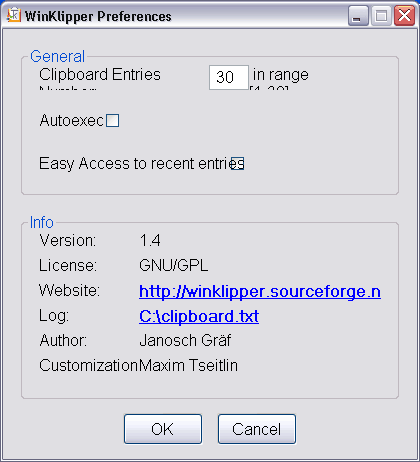 WinKlipper utility makes this all easy to backup and restore previous clipboard data. It is similar to Clips Windows utility. 1. Download WinKlipper program and unzip downloaded file. 2. Launch the program, it sits on system tray (portable, no install). 3. Right click WinKlipper icon and goto Preferences. Then set number for clipboard copy actions that should be stored. 4. 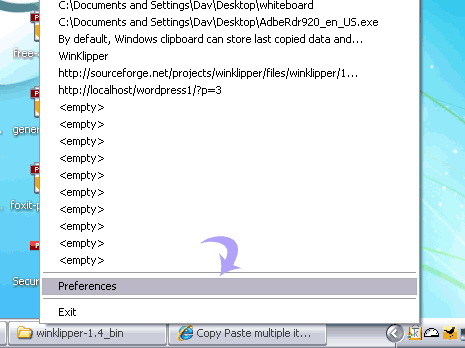 Right click on WinKippler icon to access last copied clipboard data. Then paste specific data anywhere. One easy and portable way to backup and restore clipboard data from any specific clipboard copy action. For sure a handy utility, if you copy and move lots of text. There is even way to automatically delete Clipboard data.